This class is offered privately, with the content customized to your individual needs, as our Very Important Person (VIP). Come visit The Soap Shed and spend the day in person with us, or we can connect with you virtually on Skype or Zoom. You tell us what you want to focus on and we will propose a full or half day's 'curriculum' to address what you want and need to learn. Multiple days are an option if desired. Let us help you accelerate your progress! 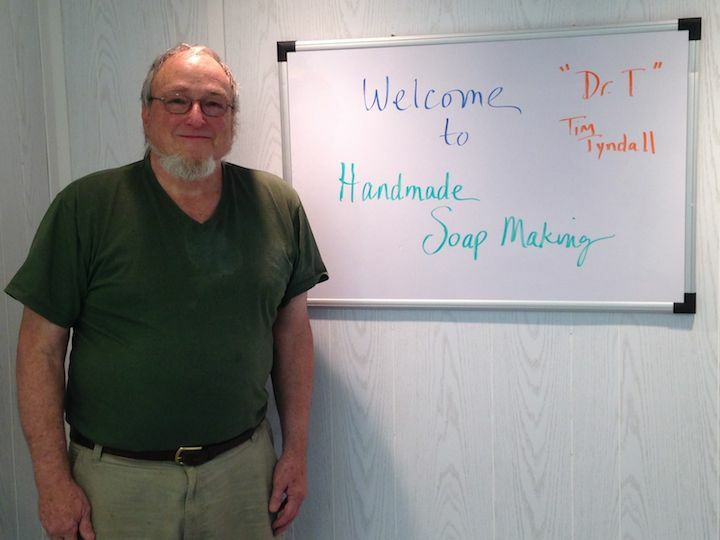 You are welcome to bring your spouse or business partner to your private day as part of the workshop fee, with the understanding that our focus is on one soapmaking operation and one business - not multiple or different ventures. We will determine the outline with you ahead of time so we can make the most of our time together. What we cover, and how much time we spend on any given topic, depends on what you most need and want to learn. Please take a look at the outlines for our workshops 'The Next Level: Increasing Your Batch Size, Mold and Market,' as well as 'Large Batch Soapmaking' and 'Making Milk Soaps' to assist you in thinking through what you might want to focus on. If you'd like to send your ideas to us via email (info at soapshed.com) or speak to us via phone prior to your registering online, feel free to do so. Upon your registration and date selection, we will send you a questionnaire to complete so you can tell us about you, your soapmaking experiences and business ventures so far, and help us understand how we can help you achieve your goals. You will receive a notebook with written material on each topic we cover, along with supplier information and recipes to get you started. We will email a pdf of this notebook to you prior to our time together so you can prepare ahead of time. We will provide an additional 30 minute consultation within 30 days after your VIP day, as a follow up after our day together, for you to discuss anything you'd like or any questions that have come up for you. If you choose any portion of the "Large Batch Soap Making' or 'Making Milk Soaps' content, then you'll want to dress in soap clothes! If our day will focus mainly on business issues or formulation, then you may dress as you choose - casual and comfortable is always best! Consider the season and check the weather forecast before you travel here for class: The Blue Ridge Mountains can get very hot & humid during the Summer, and extremely cold during the Winter months. Healthy refreshments and snacks are provided for both half and full day intensives. A catered lunch which you select from a local restaurant menu is also provided if you book a full day. Three hours for Half Day, or Six hours for Full Day. The workshop will be held at The Soap Shed, Spruce Pine, North Carolina or offered virtually via Skype or Zoom, your option. You can register for this Workshop by putting it in your shopping cart and checking out here on soapshed.com. You may also pay by check or money order in the required amount and mailing it to The Soap Shed, 179 Meadow View Road, Spruce Pine, NC 28777.